It’s that most wonderful time of the year – new Blizzard beta day. Yes indeed, the Overwatch beta has sprung to life and we’ve got access. We’ll be bringing you impressions as soon as we can tear ourselves away from it, but for now you can watch Ben play live at the Twitch embed below. Be nice. Need to get up to speed? 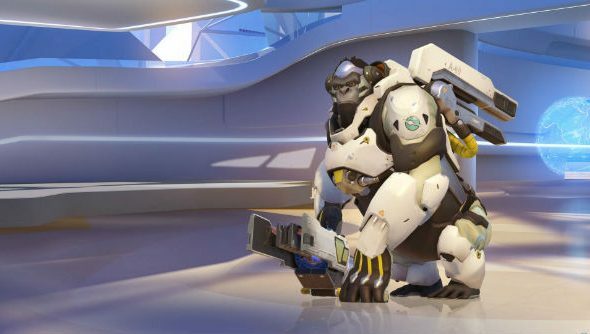 Here’s all the Overwatch characters revealed so far. Update:And we’re done! Internet went down and Bnet maintenance means we can’t log back in. Tears for 1000 years. More tomorrow. The archive of the live stream is embedded below. Be sure to follow the channel to find out when we’re going live. Jump into chat to let Ben know how he’s doing and make requests. If you combine the two, it should allow you to give him as much abuse across as few words as possible. Efficiency! Sadly, we can’t – yet – help you get into the beta yourself, but make sure you’re signed up on Battle.net for the best chance. A small pool of players are going to have constant access, while every so often weekends will be opened up to a larger audience to stress test servers. The usual formula for these Blizzard betas is a slow ramping up of invites, so you will get access eventually.